Building 28 can be reached from Delft Centraal Station via bus 69, 40, 174. The bus stops closest to building 28 are X (previously Sports & Culture) and TNO Zuidpolder. From station Delft-Zuid it is about a 10 minute walk to Buidling 28. For more information see the Journey planner. 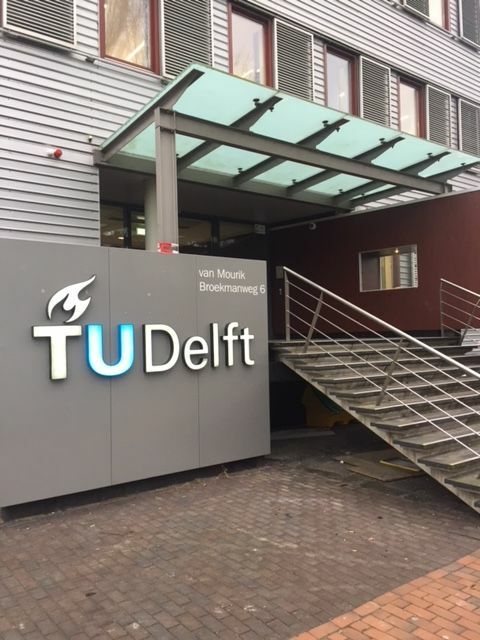 Building 28 is accessible by car via the A13, take exit 10 Delft Zuid and follow the signs towards TU Delft. Take a right towards the Schoemakersstraat and on the first intersection take a left. If you take a direct left again you will arrive at free parking 'Sports', with approximately 300 parking spots. From the parking it is a 5 minute walk to the Van der Burghweg 6. 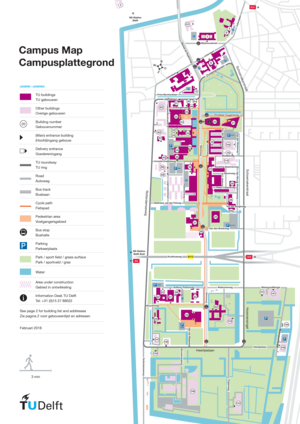 Please note: The city of Delft actively maintains the parking regulations on the TU Delft Campus, so be sure to always park inside a parking space. Wheelchair elevator with intercom at the Main entrance. All floors are accessible by elevator. Elevators are located in the Atrium. Bicycle cellar accessible via 1 lift. The building closes at 20.00. From 20.00-23.00 access only with authorized campuscard.